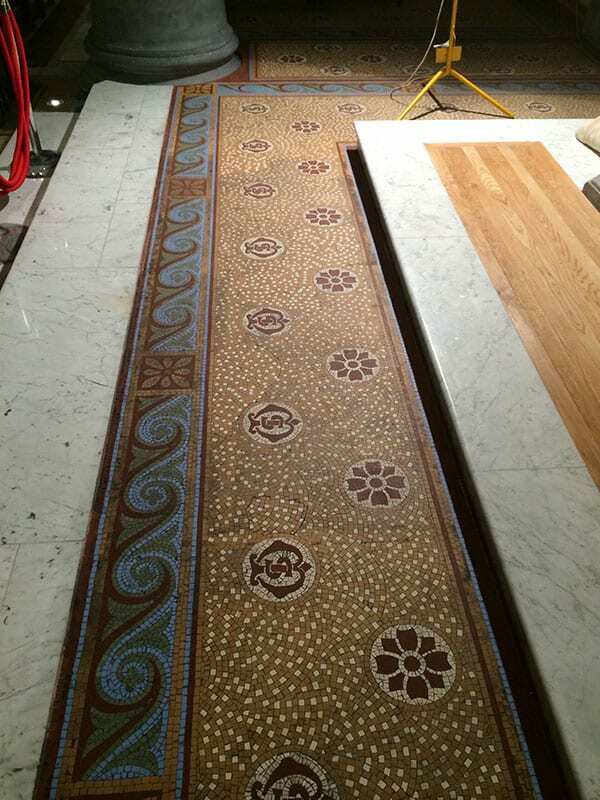 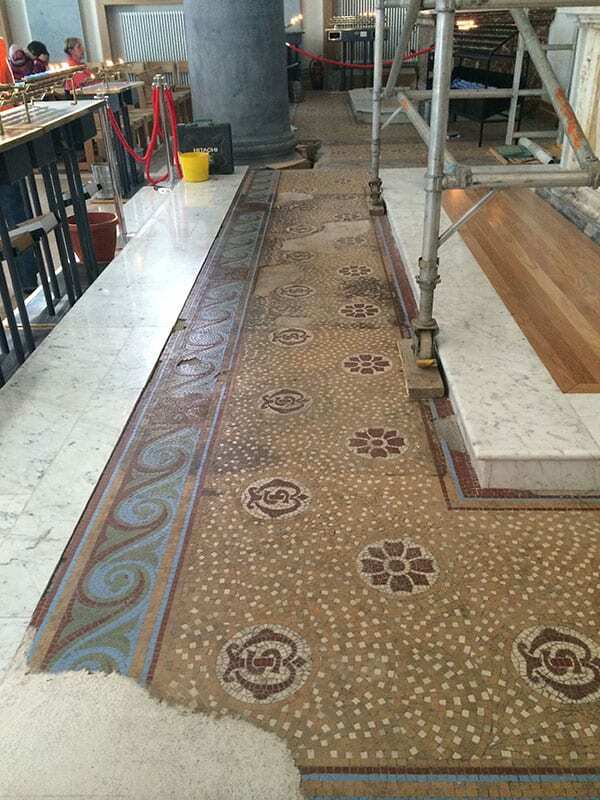 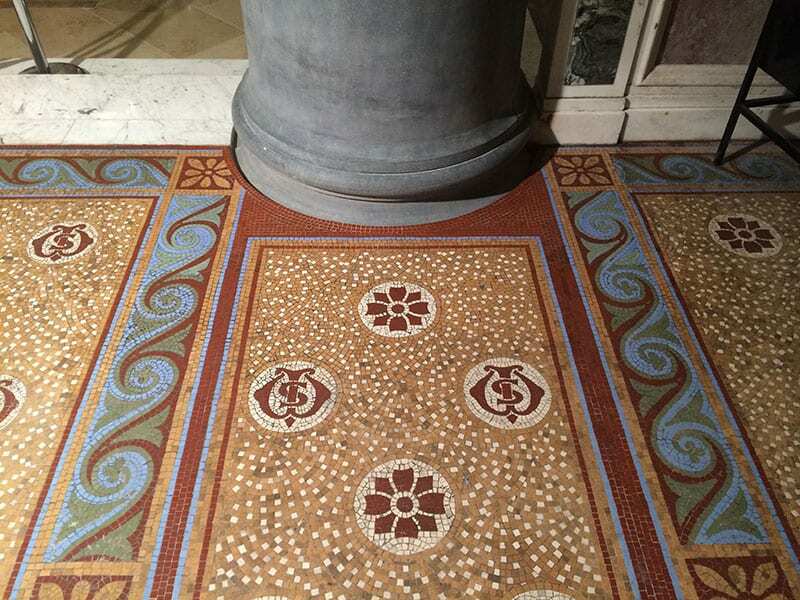 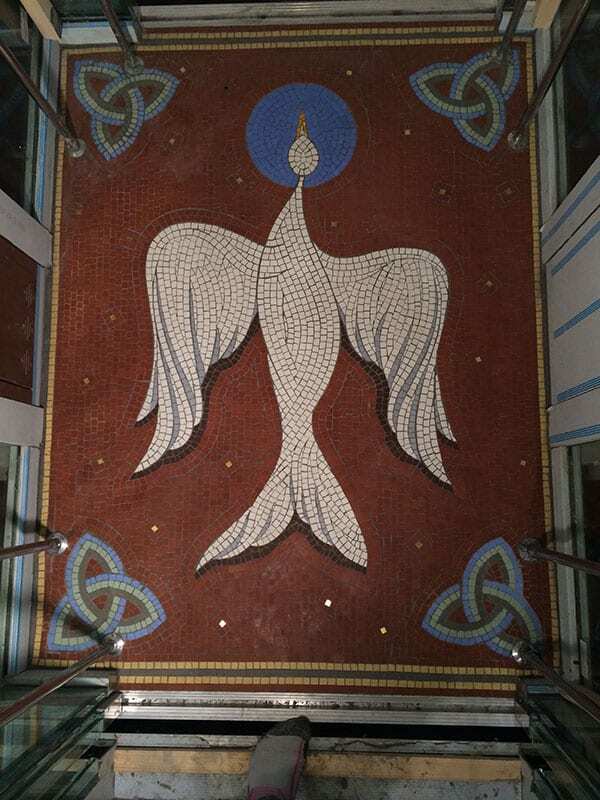 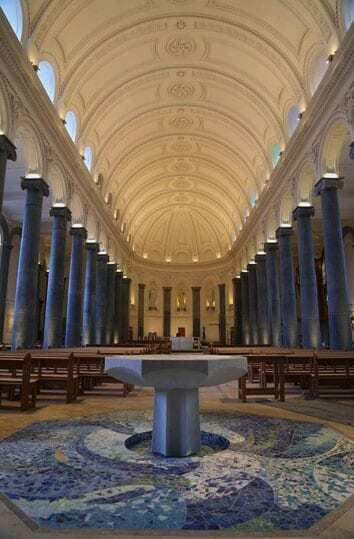 The work at St. Mels Cathedral was a combination of contemporary mosaic and restoration/conservation works after a major fire that completely destroyed the building. 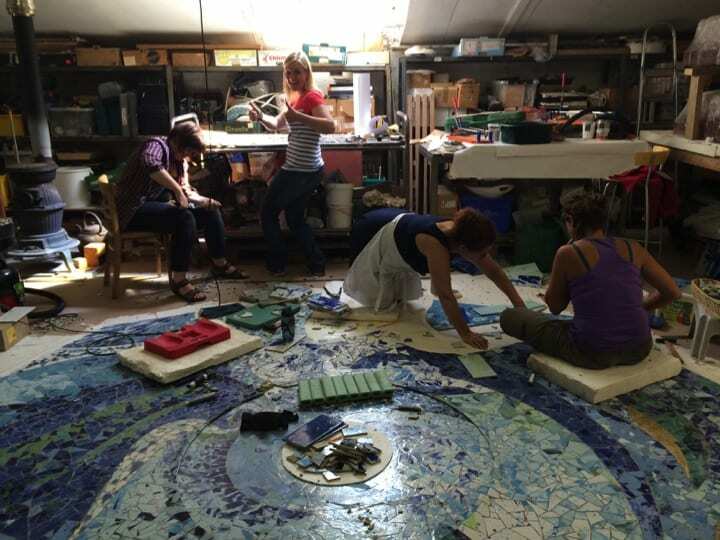 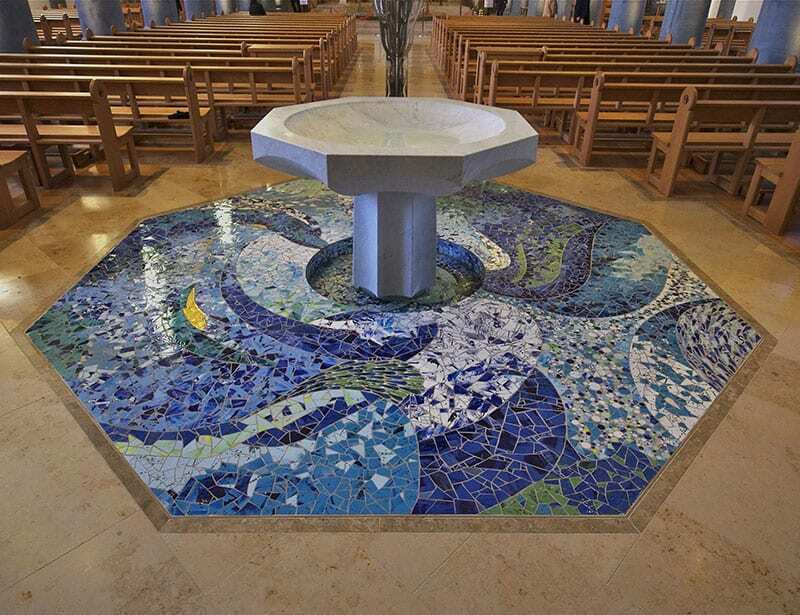 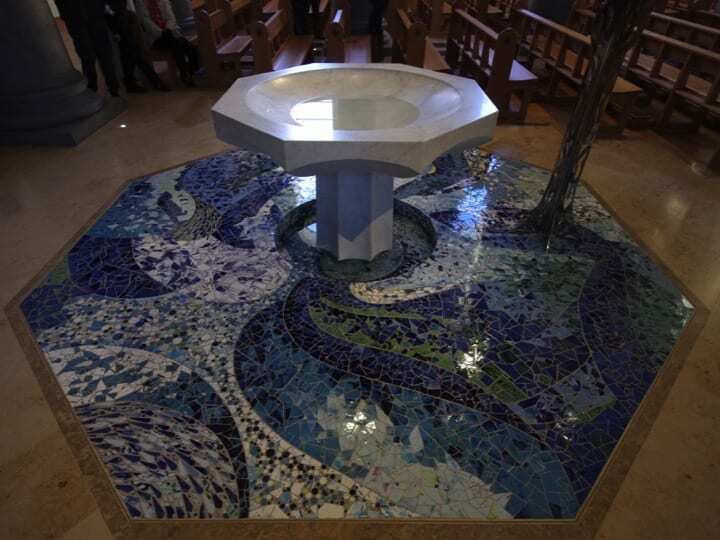 The Baptismal Font mosaic ‘Spring Waters’ welcomes one into this beautiful space. 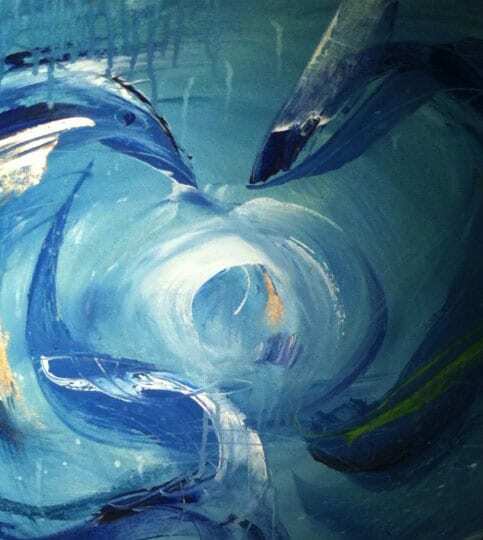 The colours and movement in it are a reflection of life’s energy and healing. 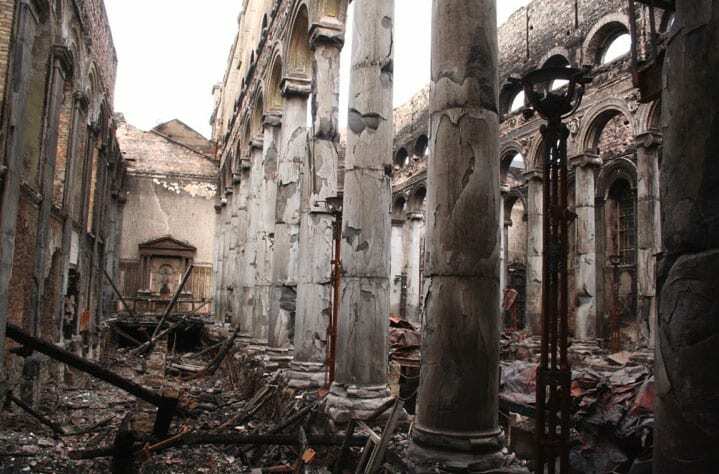 The Cathedral after the fire.